June DMC Wrap-up + Giveaway! At the beginning of this month, Sylvia Vardell and Janet Wong challenged us to turn a favorite poem into a movie or collage. While it seems the technology aspects of this undertaking combined with the onset of summer vacations resulted in less participation, I'm grateful that many of you attempted the challenge even if you weren't able to follow through. 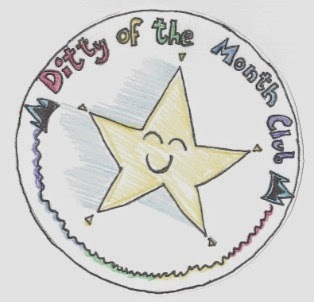 A huge thank you (5 ditty stars plus a pat on the back) to those of you who did participate! "Bronte" and some other Gotye music videos that I shared this month. Remember, you still have until Monday, June 30th, to send me your own Poem Movie or Poem Picture! 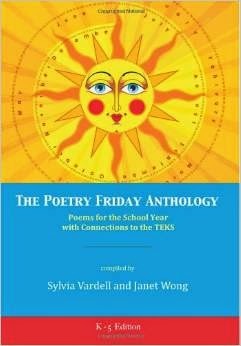 Participants will be be automatically entered to win a complimentary copy of THE POETRY FRIDAY ANTHOLOGY FOR SCIENCE, compiled by Sylvia Vardell and Janet Wong. You may also enter to win a copy of this fabulous resource by leaving a comment below. 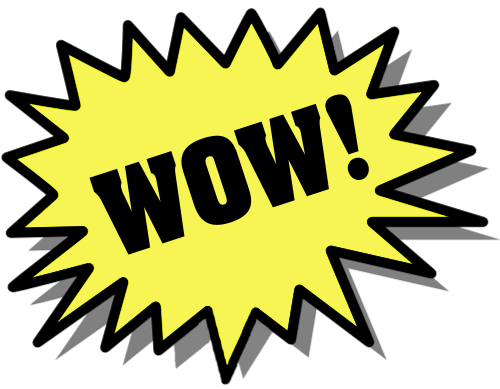 (If you contribute a Poem Movie or Poem Picture and comment below, you will receive two entries.) Comments must be received no later than Tuesday, July 1st, 2014. The winner will be determined by Random.org and announced next Friday, July 4th, when we feature our new Spotlight ON interview and ditty challenge. Just when we thought summer was safely upon us, Buffy Silverman is sharing an original poem about test-taking. Yikes! Luckily, all you need to do to earn an A+ is show up at Buffy's Blog for the Poetry Friday roundup. Thank you to everyone who helped celebrate this month of Poem Movies, inspired by Sylvia Vardell and Janet Wong's challenge. Join us here tomorrow for an end-of-month wrap-up. © 2012 George Heidenrich. All rights reserved. This is the LAST WEEK to get me your Poem Movie (or any other visual representation) in response to Sylvia Vardell's and Janet Wong's ditty challenge for June. Send your video or picture file to TodaysLittleDitty (at) gmail (dot) com, or host it yourself and just send me the link. On Friday I'll have the end-of-month wrap-up and giveaway. Wouldn't you love to own your own complimentary copy of THE POETRY FRIDAY ANTHOLOGY FOR SCIENCE? Here's your chance! Don't let the opportunity slip by. Born in the Midwest and transplanted to sunny Florida, Carrie is an internationally published author and poet whose career also spans graphic design, illustration and film. Her first picture book, VICTRICIA MALICIA, debuted in 2012 from Flashlight Press. A second, MAGIC FOR SALE, releases from Holiday House in 2015, and a third, FU LING AND THE DRAGON GATE, will publish in 2016. 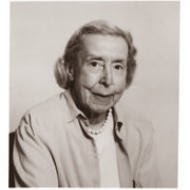 Her poetry and short stories have appeared in numerous anthologies and periodicals including Spider (forthcoming), Clubhouse, Spellbound, Penumbra, Haiku of the Dead, Underneath the Juniper Tree, Inchoate Echoes, and The Brisling Tide. You can find out more about Carrie and her work at her website. I'm lucky enough to be in a critique group with Carrie and know firsthand just how fantastic her writing is. 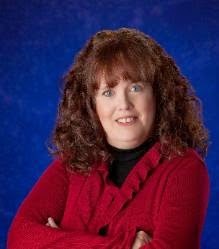 She is an expert storyteller– her work is engaging, bursts with originality and imagination, and exhibits technical mastery as well. Some of her manuscripts have made me snort with laughter, while others have brought me to tears. She doesn't always write in rhyme, but when she does, it positively sings. I hosted a brief encounter between Carrie and Mortimer the Rabbit last October when she shared "Danse Macabre"– an excellent example of just how enthralling her storytelling can be. I couldn't be more thrilled that she will be sharing her rhyming expertise on Today's Little Ditty! Take it away Carrie. CLUNK! THUD! 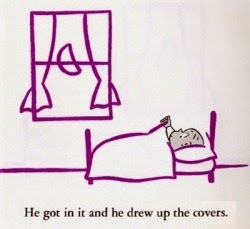 You run face first into “BAD RHYME”. We might not recognize it when we write it, but we all know it when we read it aloud. Those Saccharine-Suzy-stanzas that are so sing-song, we’d die of sugar-shock if we finished book. The Igor-meter that halts and limps and drags its feet. The Close-but-no-cookie almost rhymes that fall flat on your tongue and your ear. The same “shudder and shove” response happens with a goodly number of editors and agents when they crack open a query and see metered verse. So much bad verse is passed around that they’re conditioned to expect a horrid reading experience. If you are a writer of rhyme this can be a hugely frustrating experience. And what can we do about it? That’s what we’ll be doing in my little corner of Michelle’s wonderful blog here. We’ll be dragging the worst offenders out into the open and rehabilitating them into upstanding, citizens of the poetry world. Igor-meter – that makes your rhyme stagger and limp across the page. 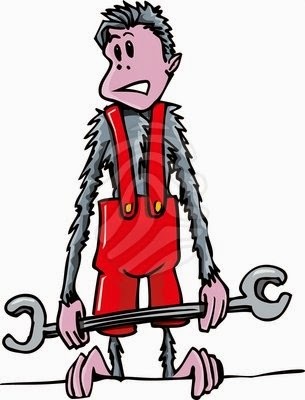 Wrench-it Ralphs – putting the em-PHA-sis on the wrong sy-LA-ble. Dialect dilemmas – what happens when a word can be pronounced two different ways? Nearly Nellies aka Lazy Lous – settling for close rhymes that clunk on the ear instead of finding the perfect rhyme. Retro-reversals – inverting your subject and verb might make that couplet rhyme, but you’ll end up with stilted, dated poetry. Weasel words – yes, they rhyme, but that’s all weasel words do. They don’t add to your story and they don’t really belong. They just let you squirm out of an awkward corner. Just a few of the usual suspects we’ll work on together. 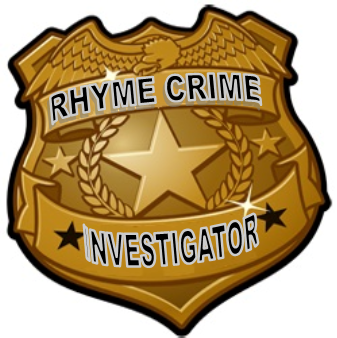 And since the web is all about community and interactivity, I’d love to hear any particular “rhyme crimes” you’d like to see addressed. Drop a note in the comments and I’ll do my best to cover it in an upcoming post. And if you have a great trick for weeding out the rhyme crimes in your own verse and you’d like to share, drop a comment as well. Next post we’ll focus on the slipperiest criminal: Igor-meter. Beats, treats and de-feets. Or as Sherlock would say “A Study in Scansion”. For now, it’s back to the mean streets of rhymes and misdemeanors. Thank you, Carrie! I have no doubt I'll learn much from your crime scene investigations, and look forward to finding out more about each and every one of these shifty criminals! 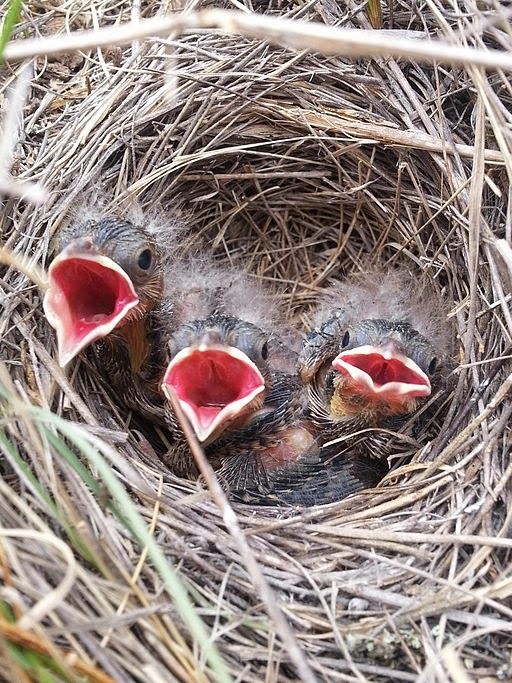 DON'T FORGET: this is the LAST WEEK to get me your Poem Movie and/or Poem Picture in response to Sylvia Vardell's and Janet Wong's ditty challenge for June. Send your video or picture file to TodaysLittleDitty (at) gmail (dot) com, or host it yourself and just send me the link. Next Friday I'll have the end-of-month wrap-up and giveaway. Wouldn't you love to own your own complimentary copy of THE POETRY FRIDAY ANTHOLOGY FOR SCIENCE? Here's your chance! Don't let the opportunity slip by. hosted by Jone at Check it Out. Since Sylvia Vardell and Janet Wong challenged us to come up with a Poem Movie or Poem Picture this month, I've been thinking a lot about music videos. 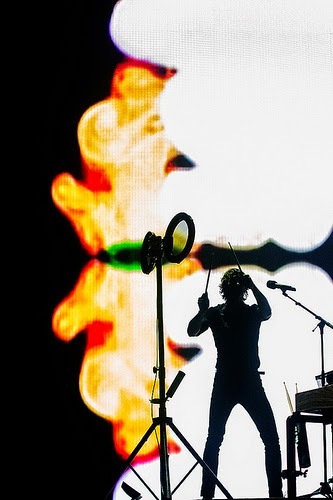 Some of my favorites are from the Belgian-born, Australian-raised singer-songwriter Gotye (pronounced GAW-tee-ay). Perhaps this is because I have a special bond with Wally. 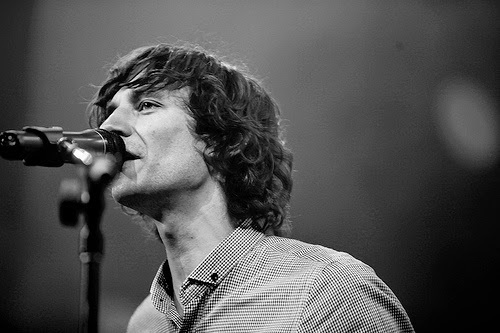 Not everyone even knows that Gotye's real name is Wouter (Walter) Andre De Backer... but I do. I fell in love with his music about eight years ago while living in Australia. Like many other Australians at the time, I was captivated by "Heart's a Mess"-- his first major hit. He's had a few more hit songs since then, including "Somebody That I Used to Know"-- the one that was his ticket into the American market and led to three grammy awards. Okay, so maybe that fact doesn't give me the right to call him Wally, but it does make me proud to share his music with the rest of the world. Just about every Gotye video I've seen is a feast for the eyes, including the two linked above. One of the things I like best is that each encompasses a fresh artistic style and unique vision. Today I've chosen to share "Bronte." One of his more straightforward videos, the sweet child-centered storyline will not leave you guessing like some of his other videos, but it will certainly tug at your heartstrings. Can't get enough? I also recommend "State of the Art" and "Giving Me a Chance"-- two more of my favorites, though, as I said, you really can't go wrong with any of his videos. And speaking of videos, I hope you've been working on your own Poem Movie or Poem Picture. So far I've only received Margaret Simon's, and my own, and the month is already halfway over. I would love to see (and share) more... including yours! Please send your video or picture file to TodaysLittleDitty (at) gmail (dot) com, or host it yourself and just send me the link. 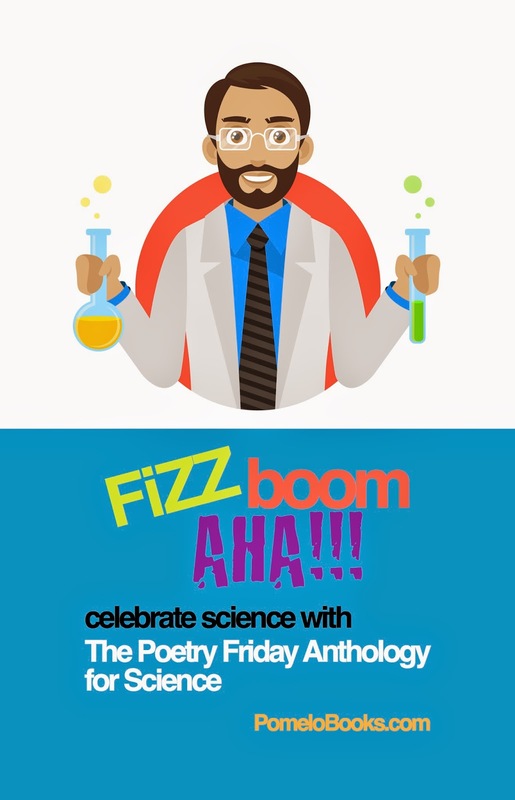 One lucky participant will win a complimentary copy of THE POETRY FRIDAY ANTHOLOGY FOR SCIENCE in a random giveaway at the end of the month. 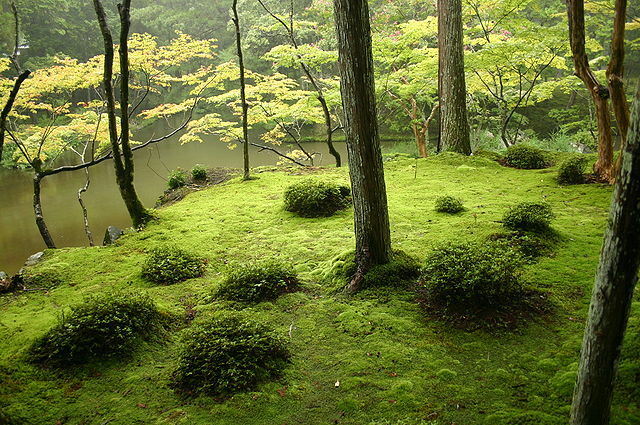 "Haiku is not just a form of poetry. It is a way of being in the world." 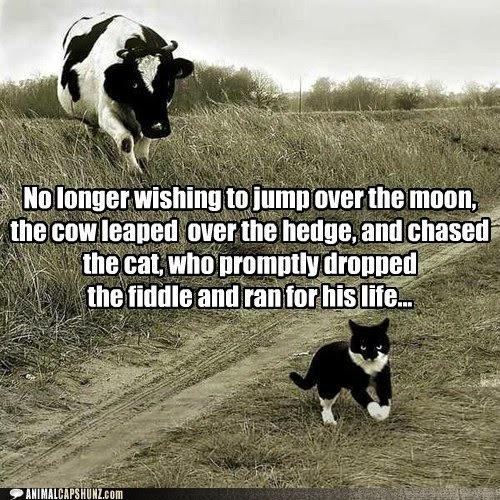 ~ Elizabeth Steinglass, "Why Haiku"
Some of you may recall that Elizabeth Steinglass visited Limerick Alley last August with a whimsical little ditty about a boy and his preferred mode of transportation. Since then, I've had the pleasure of discovering many more layers to her talent. Both on her blog and in the Poets' Garage, I've witnessed how diligently Liz applies herself to her craft -- in study and in practice -- and I simply can't get enough of her vivid imagery. It's as if she writes with a paintbrush. Haiku is one of the forms where I've watched Liz's talent blossom. 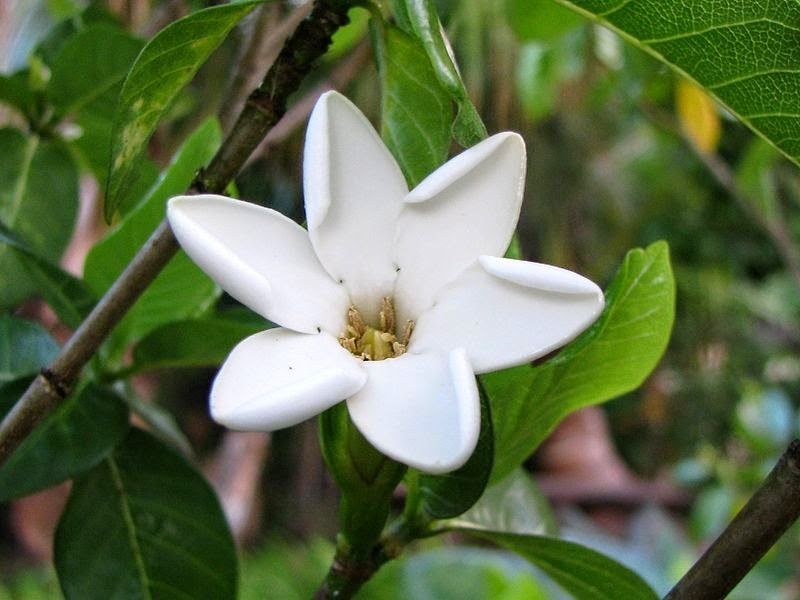 She has published a number of wonderful haiku on her blog and in respected journals such as The Heron's Nest, Frogpond, A Hundred Gourds, and Acorn. How could I resist inviting her back to Today's Little Ditty for an appearance in the Haiku Garden? © 2014 Elizabeth Steinglass. All rights reserved. 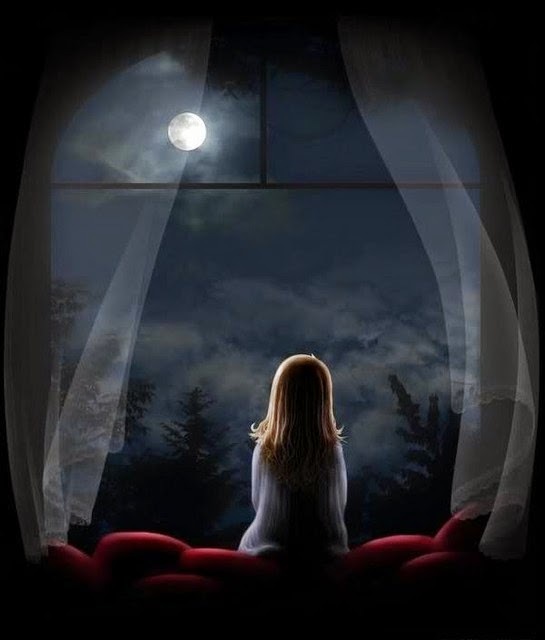 Reading Liz's poem reminds me of my daughter, who, for the last five years, has been leaving the curtains open to sleep under the Moon's watchful eye. Was the Moon one of your childhood friends? Maybe, like me, she still is a trusted companion. Just the thought puts me in the mood for a warm glass of milk. Thank you, Liz, for joining us today and sharing such a soothing haiku lullaby. Have you been thinking about your Poem Movie or Poem Picture for Sylvia Vardell's and Janet Wong's ditty challenge this month? (Click here for details.) Perhaps something about the Moon would be nice. 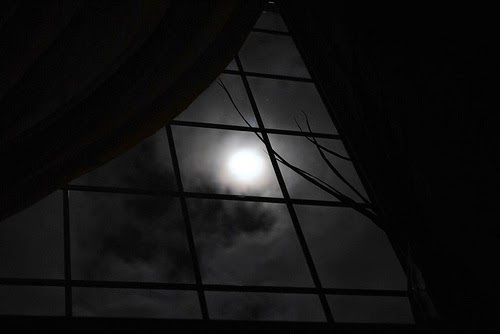 My own contribution was not about the Moon, but it was about the sky... from the viewpoint of a skylight. If you haven't already, I hope you'll take a look. Also be sure to check out Margaret Simon's beautiful video, "En Plein Air on the Bayou," at Reflections on the Teche. To be in the running for a copy of THE POETRY FRIDAY ANTHOLOGY FOR SCIENCE, I hope you'll send your video or picture file to TodaysLittleDitty (at) gmail (dot) com; or, if you prefer, host your movie or collage online and send me the link. You'll find plenty of inspiration at the Poetry Friday roundup. Today's host is Catherine Johnson. Having never explored video technology before, a 14 year old techno whiz (who also happens to be my son) gave me a crash course in the basics of iMovie. I'm presenting my video early on with the hope that you'll also be inspired to give movie-making a try! The poem featured in my movie is one that I originally posted on my blog last August. Hope you enjoy its reincarnation. If you would like to be in the running for a copy of THE POETRY FRIDAY ANTHOLOGY FOR SCIENCE, please send your video or picture file to TodaysLittleDitty (at) gmail (dot) com. Alternatively, feel free to host it on your own blog, on You Tube, or elsewhere online and just send me the link. I look forward to sharing your work with others! Sylvia Vardell is a professor in the School of Library and Information Studies at Texas Woman’s University. She has published extensively, including five books on literature for children and over 100 journal articles. Her current work focuses on poetry for children, including a regular blog, Poetry for Children. She is also the regular “Everyday Poetry” columnist for ALA's BookLinks magazine and the 2014 recipient of the ALA Scholastic Library Publishing Award. The Poetry Friday Anthology Series. Launched in August 2012, this series has already been adopted by hundreds of school districts nationwide. In the United States, June is typically when school doors are flung open and a stream of exuberant children (plus a few wearied teachers and administrators) pour into the world singing, "School's out! Summer's here!" So why choose this month to feature the Vardell/Wong dynamic duo and their marvelous classroom resources? Planning ahead, people, planning ahead. 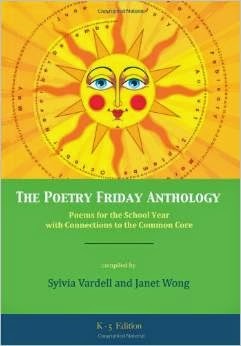 Educators really can't go wrong by including the THE POETRY FRIDAY ANTHOLOGY FOR SCIENCE in their curriculum. As a parent, I have already suggested it to the powers that be in our own local school system. Part poetry and part teaching strategies, this most recent addition to The Poetry Friday Anthology Series caters to those who already love poetry with 218 brand new poems they'll enjoy (with the added bonus of rich science content) as well as to those who aren't yet comfortable with poetry, by providing simple "Take 5" steps to share each poem and guidance on how to approach the science content. Supplement with the new child-friendly student editions and you'll have an even more interactive experience! Since its release earlier this year, there have been several terrific reviews and interviews shedding light on this wonderful resource. (Thanks to Anastasia Suen for collecting many of them in one place!) Today's spotlight interview will be, shall we say, a little different. My questions found Sylvia and Janet together, in a relaxed state of mind, enjoying their time at the recent IRA conference. As a result, we can all benefit from their comfortable and spontaneous repartee. Let's start off with some favorites to get to know you both better. JW: Everything salty and fat. JW: Depends for what. Black for clothes because I can eat double. SV: A toss-up between the cello and the oboe. JW: Bing! the sound of my Inbox when I'm expecting good news. 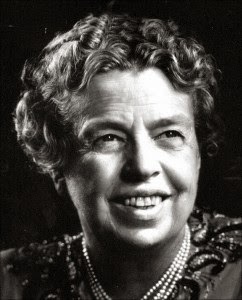 SV: "No one can intimidate you without your consent" by Eleanor Roosevelt. I also like "Women are like teabags. You never know how strong they are until they're in hot water." JW: "The problem with you, Janet, is you want to make a living from writing." –from my beloved Margaret McElderry (who was 93 years old at the time). It inspires me to work harder–which, I believe, she intended it to do. SV: Movies, hands-down! I see a hundred a year–and that's just in theaters. JW to SV: How do you have time to read?! SV to JW: Movies just take two hours. JW: (skeptical face and long pause to grab another bite of Gulf shrimp) EATING. 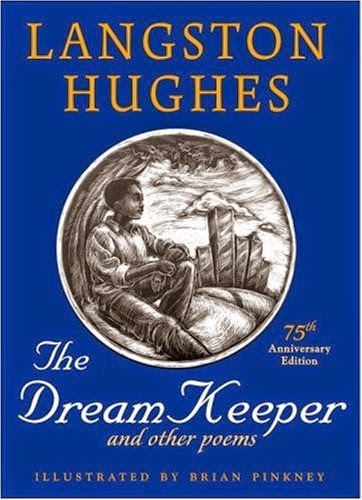 SV: THE DREAM KEEPER by Langston Hughes. JW: Too hard a question! 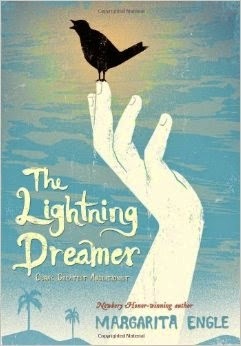 I can't answer it but I can tell you a favorite recent title: THE LIGHTNING DREAMER by Margarita Engle. So important, especially with the #WeNeedDiverseBooks movement. JW: I need to answer–for Sylvia. BRIGHT tights. If you ever see Sylvia in the fall or winter, you cannot miss her legs. SV: And Janet's is her black vest, her James Bond vest. Favorite country you'd like to visit? SV: Peru. It's next on my list. Machu Picchu before I die! JW: Japan--where I plan to eat alternating meals of ramen and sushi. SV: You've been to Japan, surely. JW: Only the airport. I want a school to invite me!!! Who or what inspires you to be an advocate for children's poetry and what do you enjoy most about what you do? JW: Yes, and the kids who hate poetry. I like to change their minds about it. 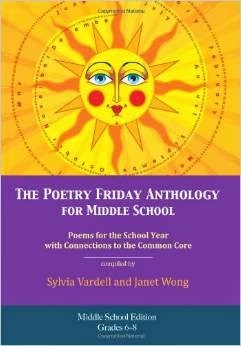 Where did the idea for THE POETRY FRIDAY ANTHOLOGY FOR SCIENCE come from and what do you hope educators and children will take away from your anthology? JW: Loving science. 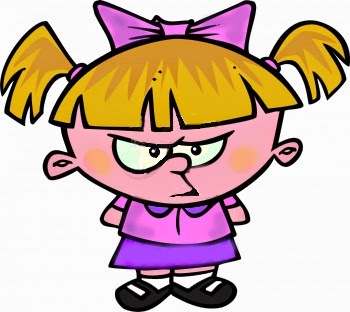 I read an article that said: most girls decide by age 7 that they are not interested in science. I want to change this. SV: Like poetry, kids love science until they come to school and we tell them that science is hard. 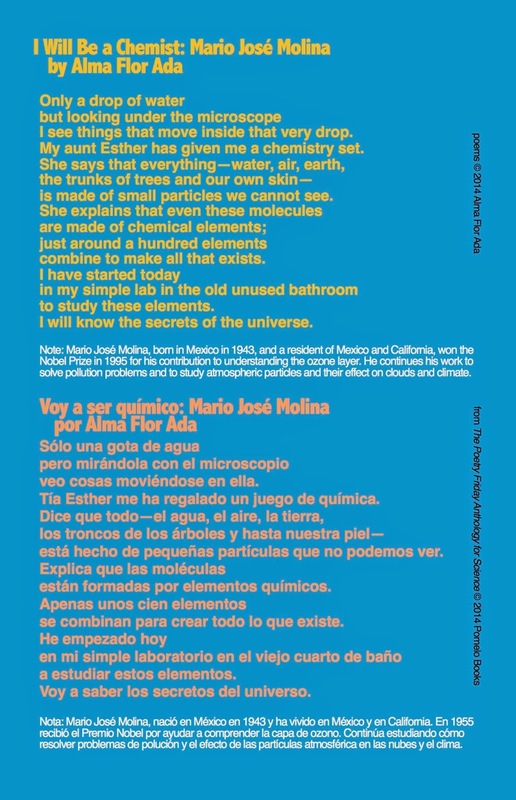 Please share a favorite selection from THE POETRY FRIDAY ANTHOLOGY FOR SCIENCE. If you could be any kind of scientist, what would you be and why? SV: That's kind of a fun question! I'd either want to study birds or strange diseases. JW: How about studying the strange diseases of birds? SV: Well, obviously we'd read a poem to them– and then invite them to chant it along with us. Wouldn't it be amazing to hear all the world's children join in reading a poem aloud? JW: Ditto! And put that on YouTube. SV: We've had fun working with teachers and librarians in turning poems into movies. (And you can see why since I love movies so much.) We challenge your readers to take a favorite poem and then make a simple video that features the language and meaning of the poem. JW: Try making a Poem Movie, like Chris A's rendition of "Old Water" by April Halprin Wayland, or Sherry D's clever take on "Scientific Inquiry" by Susan Blackaby. Or if making a one-minute Poem Movie is too much for you right now, how about trying a Poem Picture? Work with your favorite child-at-heart to make a quick collage! What a great challenge– a fantastic opportunity to keep those creative juices flowing into summer! 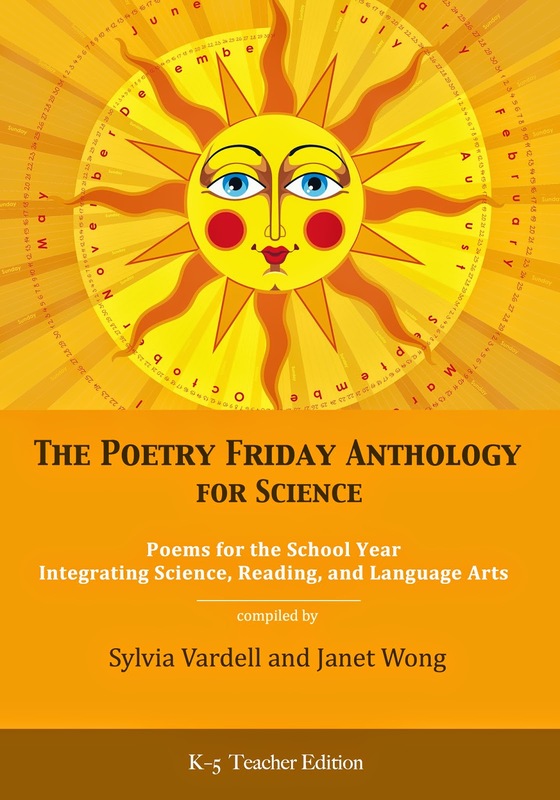 And to sweeten the deal, Sylvia and Janet have generously offered a complimentary copy of THE POETRY FRIDAY ANTHOLOGY FOR SCIENCE to one lucky participant chosen randomly at the end of the month. Hooray! Send your video or picture file to TodaysLittleDitty (at) gmail (dot) com, or if you prefer, you may host it yourself online and just send me the link. Obviously you may present your poem any way you like, but for ease of viewing collages on my blog, a portrait presentation works better than landscape. For children under 13 who would like to participate, please read my COPPA compliance statement located in the sidebar to the right. Poem Movies and Poem Pictures may be published on this blog as daily ditties throughout the month, but all of them will be collected in one wrap-up post on Friday, June 27th. Thank you, Janet and Sylvia– both for what you bring to the world of children's poetry and for the special fun you've brought to this interview! What a pleasure it's been for me to feature you today and have another look at THE POETRY FRIDAY ANTHOLOGY FOR SCIENCE. There's one more important piece of business to attend to before I sign off, and that is to announce the winner of last month's random giveaway. There were a few last minute entries bringing the total number of participants to 25, and the total number of cinquains to 35! Everyone who completed last month's challenge should consider themselves a winner; but among 42 giveaway entries, Random.org selected LINDA BAIE to receive a copy of WATER CAN BE..., by Laura Purdie Salas, illustrations by Violeta Dabija. 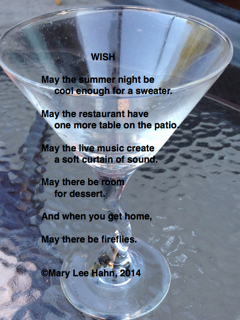 Now I hope you'll join Carol at Carol's Corner for this week's Poetry Friday roundup. they may become words at any moment.